If you are interested in buying it now, please contact the Development Department at (918)582-4035. Bids can also be placed via phone as well. Please call for more information. Four-day, three night stay for two at guest house at a Santa Fe home on July 28, 29, 30 and 31. On July 29, enjoy the first major U.S. production of Griselda at the Santa Fe Opera, with reserved parking and a backstage tour. Trip includes Southwest Airlines tickets. Five couples to enjoy an evening at four different homes – each featuring a dinner course and a performance by a Tulsa Opera Studio Artist. Stretch limo will transport you to the homes of Kristin and Jim Bender; Margaret and Steven Kobos; Gina and Chris Covington and Gina and Mike Lodes. Date to be determined by auction winners, hosts and availability of Studio Artists. Host your own cocktail party at the top of Ivey in Brookside with 24 of your friends. The rooftop of Ivey will become your own private party with all food provided by Wolfgang Puck. Time to be determined by owner and winning bidder. Valentin Magro, formerly designer for Tiffany & Co. and Harry Winston, blends this rare stone with a cushion faceted cutting, set in 18kt gold for a unique and enchanting ring setting. Prasiolite is one of several quartz varieties and is rare stone to find in nature. There is a reserve on this item. Join the stars of Tulsa Opera with a cameo appearance in the final production of Tulsa Opera’s 2011-2012 season, Madame Butterfly. The lucky winner will appear onstage during the performance, as well as experience the rehearsals and costume fittings that any star would be required to do. It’s a true inside look at being a part of a Tulsa Opera production. Bid for two seats at the celebrated Eleventh Annual Tulsa Opera Gourmet Black-Tie Dinner, hosted by Mike and Gina Lodes in their historic Maple Ridge home. Four couples will enjoy cocktails and an elegant 10-course gourmet dinner, paired with specially selected fine wines. All served on the Lodes’ collection of antique china, crystal and silver in turn of the century style. Not to be missed! Date to be determined by auction winners and host. Luxury Family Vacation Home in Florida Seaside – 7 days and 6 nights. Nestled in the Western Lake neighborhood of Watercolor, this elegant 5-bedroom cottage offers guests the perfect blend of privacy and gathering space. Located in the master-planned beachfront community of WaterColor. Beautifully decorated, the home includes 12-foot ceilings, antique pine floors, gourmet kitchen and even a sleeping porch. House includes 1 King, 1 Queen and 4 twin (2 per room) beds. No smoking and no pets. Reservations are made according to availability of both parties and a $300 cleaning fee is required at the end of the stay. Shen was born in Hong Kong and grew up in Chevy Chase, Maryland. He received a B. A. in English and writing from Juniata College in Huntingdon, Pennsylvania and an M.F.A. in painting from Cranbrook Academy of Art in Bloomfield Hills, Michigan. He is currently on the board of the Oklahoma Visual Artists Coalition and teaches art at the Holland Hall Upper School. Two people will enjoy a myriad of activities! Take a tour with veteran backstage technical director Mike Sherrill. Sit with production stage manager Rachel Ginzberg as she “calls” the show (only one at a time). See as much or as little as you like. Then join the principal artists and Kostis in his dressing room for a glass of champagne! A 5.5-carat blue sapphire set in 14-carat white gold with nearly 1 carat of diamond pave halo. 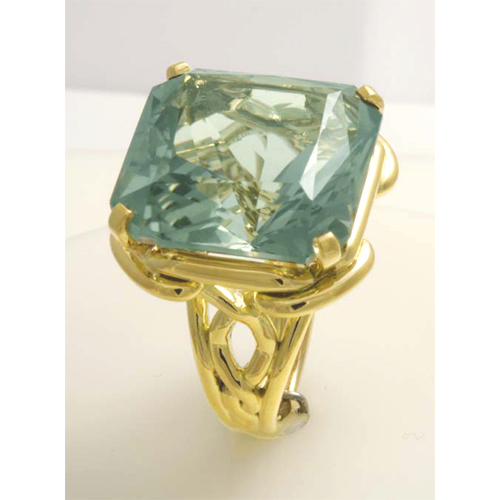 This beautiful ring will make a great addition to your jewelry collection for day or evening. Enjoy a cocktail party in the tradition of the roaring 1920s. The Blair home was built in the late 1950s and was designed by John Duncan Forsyth to duplicate Jefferson Davis’s home in Mississippi. 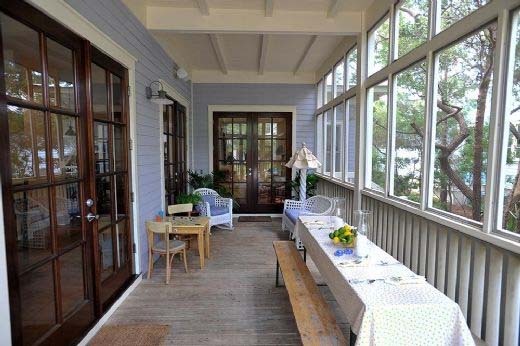 The home overlooks the Arkansas River and has the perfect lawn for a number of crocquet games. This evening for 10 couples includes cocktails, hors d’oeuvres and jazz music. Party to be arranged by winning bidder and hosts. Enjoy champagne and dessert at Evelyn Hatfield’s new home, located on 29th Street. Evelyn suggests it might be great after a night out at the opera! Time dependent on winning bidder and the host. The holidays are almost here! Will you be naughty or nice? A look at the 2011-12 season. The Podium · the voice of Tulsa Opera!